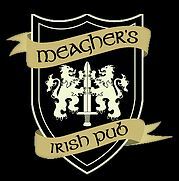 Premier Commercial Real Estate Services is happy to announce the opening of Meagher’s Irish Pub at the Charles Pointe Development in Bridgeport, WV! Charles Pointe is one of Bridgeport’s most sought after commercial developments located directly off the Jerry Dove Drive Exit 124 off I-79 in Bridgeport, WV. Charles Pointe is presented exclusively by Premier Commercial Real Estate Services.